Montero was meted out the penalty of dismissal from the service, canceled her eligibility, forfeited her retirement benefits and imposed the penalty of perpetual disqualification to hold public office. But Montero vowed in public that she will “defy” the DILG memorandum claiming that the order is bereft of legality since it is not a court of law. The statement of the ousted mayor met mounting criticism from radio listeners who phoned in their reactions during yesterday’s Inyong Alagad program of station dyRD. The DILG, established on March 22, 1897, assist the President in the exercise of general supervision over local governments and establish and prescribe rules, regulations and other issuances implementing laws on public order and safety. Apparently overlooked by the DILG, the “acting mayor” title accorded to Fuertes was inadvertently a typographical lapse, according to DILG Provincial Director John Joan Mende during an interview with DYRD Balita. 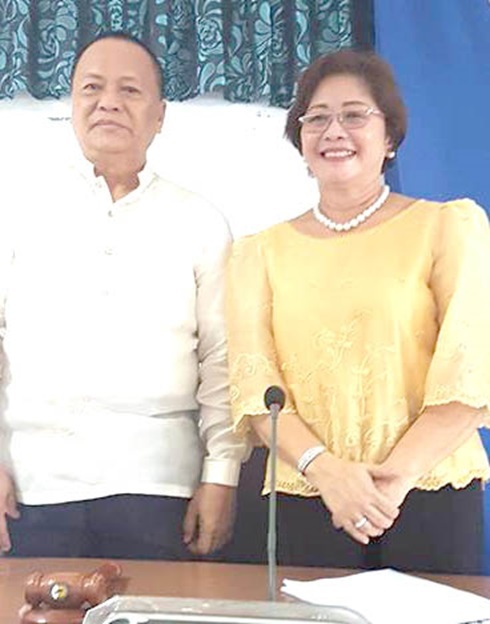 The memo did not touch on the controversial Resolution passed by the Sangguniang Bayan of Panglao confirming and acknowledging the reassumption of Montero as mayor of Panglao and authorizing her as the official signatory of the checking account and other financial transactions of the Local Government Unit (LGU). After assailing the CA for their ambiguous decision that has allegedly caused chaos in the Local Government Unit (LGU) of Panglao, Montero pinned the blame on media for its “hocus-pocus” reporting of her questionable take-over of the mayorship occupied by Fuertes due to her dismissal. The DILG memo, signed by DILG Regional Director Leocadio Trovela detailed the sequence of events from the suspension of Montero leading to the filing of a motion for reconsideration (MR) by Augustin Cloribel which still remains to be resolved by the Court of Appeals (CA) Special Twelfth Division. The memo was anchored on the Cloribel MR opposing the decision of the CA setting aside the dismissal order of the OMB for grave misconduct and reinstating the original OMB decision suspending Montero for three months without pay for simple misconduct. The DILG, however, remained silent on the Urgent Motion for Clarification and/or Reconsideration filed before the CA 12th Division by Montero alleging that the decision although rendered in her favor, has caused chaos, confusion, and pandemonium in Panglao. The DILG disagreed with Montero’s position that there is no “legal impediment” for her to re-assume her former position as mayor since she has served the three-month suspension imposed by the OMB. Montero believed that she has the legal basis to re-assume her position since she has served her suspension order citing section 12 of rule 43 of the Revised Rules of Court that an appeal shall not stay the award, judgment, final order or resolution to be reviewed unless the CA shall direct such terms as it may deem just. However, the DILG secured a certification from Atty. Celedonia M. Ogsimer, Division Clerk of Court of the CA 12th Division on August 28, 2018, that a motion for reconsideration (MR) was filed by Augustin Cloribel over the CA decision downgrading the dismissal order to suspension. With the Cloribel MR still pending resolution, the DILG invoked Rule 52 of the Rules of Court stating that the pendency of an MR filed on time shall stay the execution of the final resolution of the judgment unless directed by the court. The latest information released by the CA 12th Division, addressed to both Montero and Cloribel concerned the status of their two MR’s. Both MR’s was noted and submitted for resolution even as Montero prayed that the CA order the DILG to reinstate her as mayor immediately and order Fuertes to cease and desist from performing the functions and duties of the mayor and vacate the mayor’s office.